As was the case with last week's issue, Batman Eternal #6 seems less interested in its grand central mystery than it is in expanding the world of New 52 Gotham. Most of this issue is devoted towards introducing us to two of Batman's more obscure partners - Batwing and The Spectre. The two are quickly teamed together to deal with a supernatural menace that Batman has little time and even less inclination to deal with personally. The script by Constantine writer Ray Fawkes contains much of interest. The revelations that Batman has enough Nth Metal to make a batarang and that it can be used to disrupt ectoplasmic figures is but one of the more fascinating bits of trivia this issue has to offer. 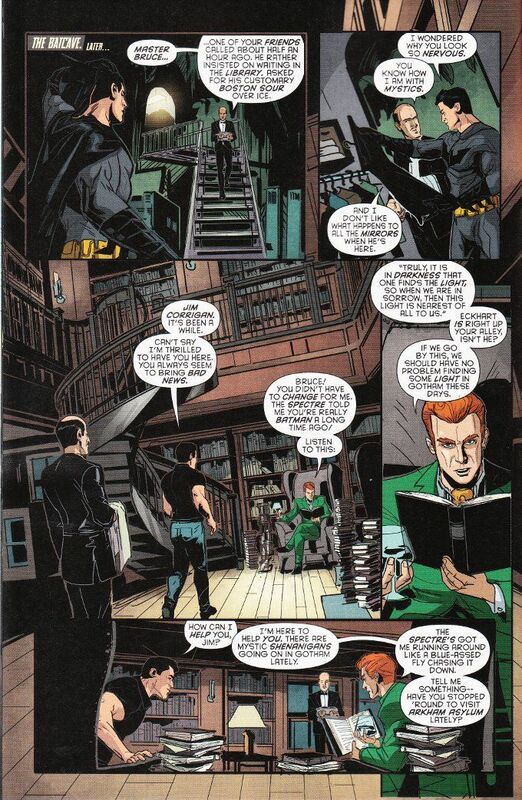 I also liked the idea that the normally unflappable Alfred is made uncomfortable by Master Bruce's mystic associates or that weird things happen to mirrors around The Spectre. 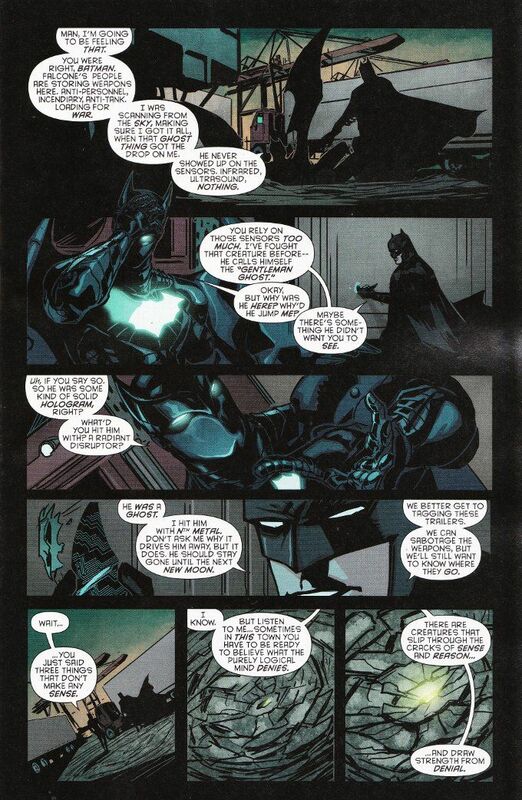 The artwork by Gates of Gotham artist Trevor McCarthy is a suitable fit to the script. McCarthy's figures are oddly blocky and seem better suited towards a Vertigo series than the world of Batman. Nevertheless, this distinctive style is gripping and properly spooky when it needs to be.